Welcome to the website of the Institute of Development Research and Development Policy (German acronym: IEE) of the Ruhr-University Bochum. 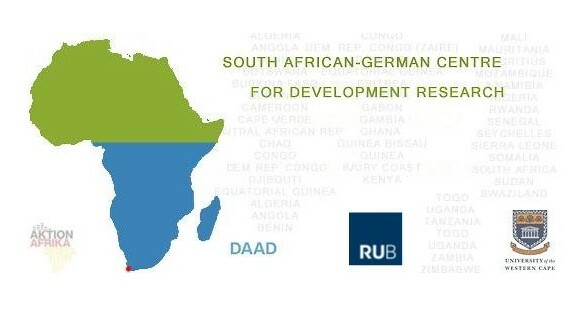 The Call for scholarship applications at the South African-German Centre for Development Research is now open until 30th June 2019. For more information please have a look at the Website! 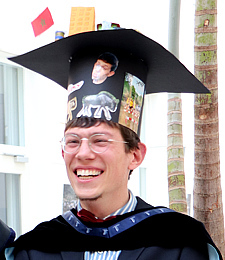 After successful defence of his PhD Thesis on Friday, 5 April 2019, IEE research fellow Raffael Beier has been awarded the degree of a Philosophiae Doctor (Ph.D.). Raffael Beier is the first PhD candidate graduated under a joint PhD agreement between the ISS and the IEE, which has been signed in 2014. The 8th PhD Conference on International Development is a student-led event organized by PhD students from the Institute of Development Studies (IDS) and the School of Global studies at the University of Sussex (UK) and will take place from 19 - 20 September 2019 at the University of Sussex, UK. On 7th February the two members of the "German Federal Parliament", Ulla Schmidt und Dagmar Freitag, who stayed in South Africa for taking part in the 2019 State of the Nation Address by the South African President Cyral Ramaphosa, used the opportunity to as well visit two DAAD funded Centres of Excellence in Cape Town together with the Consul General Matthias Hansen. After successful defence of his PhD Thesis on Wednesday, 6 February 2019, former IEE research fellow Marc Hansen has been awarded the degree of a Philosophiae Doctor (Ph.D.).